We are working hard to make sure that our teams are successful; therefore to minimize upfront, individual out of pocket expenses we have implemented a fundraising program designed to afford TEAMS the ability to generate revenue to function properly! 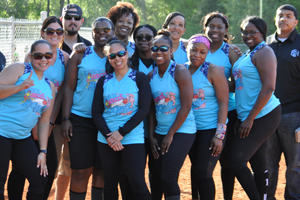 For teams, these generated funds can be used to purchase uniforms, tents, team outings/bonding activities and more…. Whatever The Team Wants! It’s YOUR MONEY!! We wholeheartedly believe this is a group effort and we will be doing as much as possible to support teams and its members be able to have an enjoyable, cost effective experience in recreational sports! Simply, request raffle tickets, distribute them with your teammates family & friends and SELL! -25AndOlder Sports Will Provide The Raffle Tickets. -Tickets will sell at $10 each. Sales Period: Now- April 14th. -There Will Be Three Drawings. -Thus The Consumer Will Have 3 Chances To Win. -Each Team Will Share In EVERY Dollar Generated! -The Team That Sells The Most Tickets, Wins FREE Registration For The Following SSK Season! -If You Are Not An SSK Team, We Will Pay The Registration Fee For WHATEVER League You Desire To Join. -Covers Up To 17 Players. 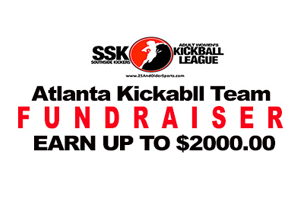 -You DO NOT have To Be An SSK Kickball League Affiliated Team To Participate. -Winning Team MUST Sell At Least 200 Tickets. -Coaches/Teams Are Responsible For Turning In Either The Tickets, The Value In Cash Of Tickets Or A Combination Of Both. 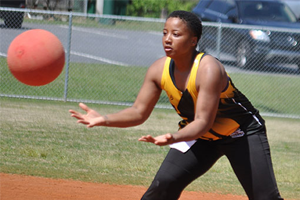 -Coaches Take Full Responsibility For Lost Or Stolen Tickets. 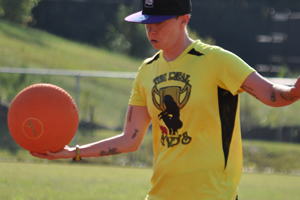 -You DO NOT Have To Be A Kickball Team To Participate. Contact Us Directly To Get Your Team Involved.